"Casa Olivo" is composed of two large double bedrooms with the possibility of adding 2 beds, living room kitchen equipped with oven, refrigerator, flat TV, large bathroom, terrace, private covered parking and large garden (barbecue, deck chairs) , outdoor table and chairs). 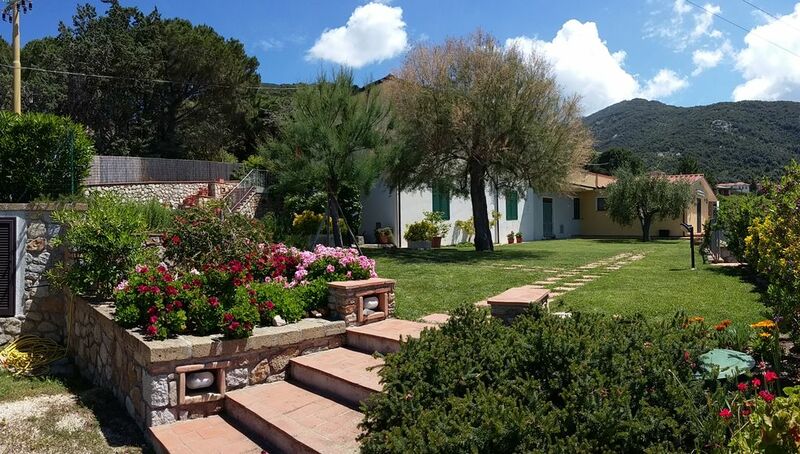 Holiday Polveraia Punta is situated in a panoramic position overlooking the sea where every evening can enjoy fantastic sunsets that graze the horizon Corsica, ideal for those seeking a relaxing holiday away from the busy city. The structure is located in a quiet and small fraction call Patresi about 500 meters from the homonymous beach, it is made up of 3 distinct apartments with independent and private parking inputs. Casa Olivo with sea views, terraces, large garden, with the possibility of 6 beds, Betramonto house with sea view, large terrace and garden and finally House Garden with sea view and garden.